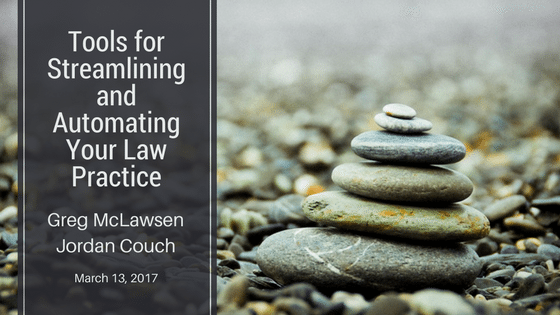 CLE materials - Tools for Streamlining and Automating Your Law Practice — Puget Sound Legal, P.C. Thanks to the Washington State Bar Association's Solo & Small Practice Section - I appreciate having the opportunity to speak today at the annual CLE with legal-tech futurist, and workers comp attorney Jordan Couch. This post houses materials for today's talk. If you have questions for either Jordan or I, feel free to jump into the comments below and we'll get back to you ASAP.